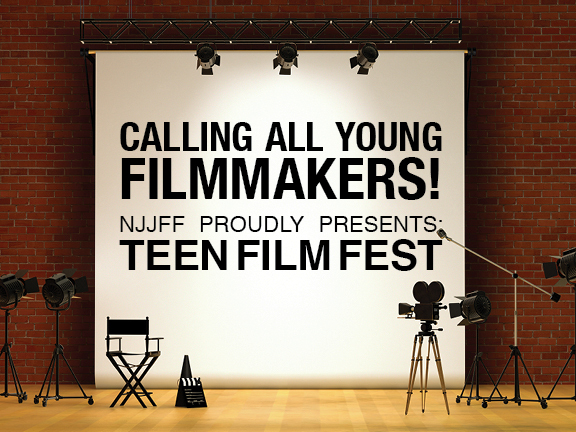 nj arts maven: NEW JERSEY JEWISH FILM FESTIVAL SEEKS SUBMISSIONS BY TEEN FILMMAKERS! NEW JERSEY JEWISH FILM FESTIVAL SEEKS SUBMISSIONS BY TEEN FILMMAKERS! Do you live in the Greater MetroWest area? Are you between the ages of 13 & 18? Are you Jewish or does your film contain Jewish content? Films chosen will be screened at JCC MetroWest on Tuesday, February 12, 2019.